If you are the proud owner of a long-haired cat you already know that regular grooming is a must. Getting your cat used to the grooming process can take time and patience on your part. If you are thinking about getting a new long-haired kitten get him/her use to being groomed right away. When you go shopping for your new kitten’s supplies make sure to add a slicker brush and comb to the list. 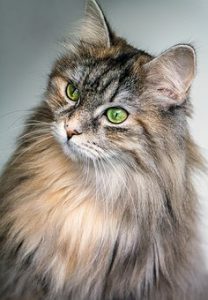 Your cat needs your help with grooming and I will help you by explaining how to groom a long-haired cat. All cats requires the same basic grooming procedures. The only difference with a long-haired cat is the way you maintain their fur. To learn the basics please click here! 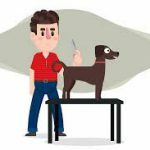 This article will go over the basics of claw trimming, ear cleaning, and bathing. Never bath you cat if his/her fur is matted because it will make it almost impossible to brush. The process of bathing will tighten the knots to the point they will need to be shaved out. You need to brush out the mats first. It’s important to have the right tools for the job before you begin. A slicker brush along with a fine toothed comb works best for long-haired cats. Start at the base of the tail and work your way up the back. Hold the hair up with one hand as you brush with the other, this will help you to get to the base of the hairs. Never brush too hard because cats have very sensitive skin, brush with short gentle strokes. Do not brush against the grain, brush in the same direction the hair is growing. Brushing against the grain of the hair growth is uncomfortable. And your cat will let you know it. Turn your cat over to brush the belly and chest areas. 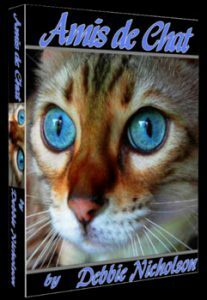 Some cats may not care for this so you may need to have someone help you hold your cat. Don’t forget to brush the tail. This is another area that some cat do not like. You may need to have some help with this too. Never hold or pull your cat by the tail. It can result in hurting your cat. When you are done brushing go back over your cat’s fur with a comb to remove any small tangles that may be left. Combing will also remove dead skin and loose hairs that the brush missed. Do Not let your cat get stressed out over this, it does not all need to be done in one session. If you are still in the process of getting your cat use to being groomed keep the sessions short. Make brushing a part of your daily routine to reduce tangles and matting. In time your cat will look forward to the daily brushing sessions. This is also a great bonding time for both of you. 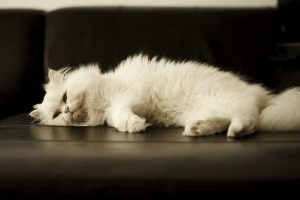 Unfortunately, long-haired cats get matted quite easily because their fur is so soft and fine. Any kind of friction can cause matting like rubbing and petting. Also, the act of simply walking can cause mats under the legs. 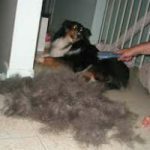 It’s important to make sure those areas are well brushed regularly to prevent this from happening. If you find a mat while brushing gently try to brush it out. Do not tug hard on your cat’s fur, it hurts! Hold the mat with one hand as your brush with the other to help eliminate pulling on the skin. If the brush does not remove it try to break it up into smaller sections using your fingers. Hold the mat as close to the skin as you can get and break it up with your other hand. Once the mat is broken try to brush out the smaller pieces. Using a detangling spray made for cats will be a big help. You can also try using a mat splitter to break up the mats. Never Ever try to cut a mat out with scissors. Mats that become hard and large are pulling on your cat’s skin. Cutting the mat off with scissors could result in cutting your cat’s skin, the skin of a cat is very thin and easy to cut. If you find you can not remove the mat you will need to have you cat groomed by a professional pet groomer. Do not let your cat get to the point of having to be completely shaven down. A well-educated groomer knows that shaving a cat should be the last option. When looking for a groomer you should ask what their experiences are with cats. Not every professional groomer knows how to handle a cat. 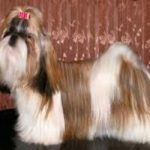 I hope you found this article to be helpful in grooming your long-haired cat. If you have any questions please leave a comment. Very nice post if you want some thing about New year then must visit at Lovely New year Messages. you will love it. I just bought a new cat that has really long hair, and I’m not entirely sure how to care for his hair. I like how you point out that long-haired cats get matted really easily because their fur is so soft and fine. Maybe I would benefit from taking my cat to the vet to get all of his vaccinations and to learn how to properly care for his fur. Thanks for your tips. Congrats on your new fur baby. It is recommended to take your kitten to the Vet for a checkup and shots. 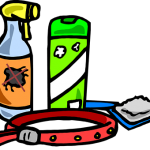 If your veterinarian offers a pet groomer service you will receive more help by asking the groomer for advice. Thank you for visiting the site and please come back as I am always adding new information. 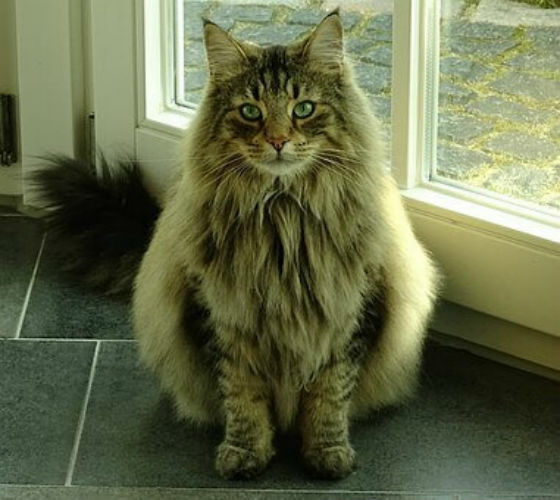 I am glad you said to brush a long-haired cat with a slicker brush and fine-toothed comb. My sister has a long-haired kitten and was wondering how to groom her pet. I appreciate the information on the basics of grooming a long-haired cat. Thank you for visiting my site. I’m glad you found the info to be helpful, please share this article with your sister. I see you are associated with a Vet Clinic, do you work for them? What great information that I can share with my readers. Thank you Cathy. Thanks for stopping by again. Happy to know that you found this information to be helpful. 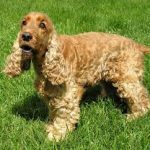 My main goal of this site is to help as many pet owners as I can reach, thank you for helping me with this.